This is our version of a dowsing pendulum invented and constructed by one of the highly regarded experts of radiesthetic equipment, Jozef Baj of Warsaw, Poland. Isis is a mental pendulum and can be used as a transmitter or receiver, according to the mental command of the operator. 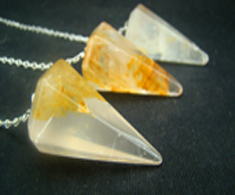 It can be used in checking food, herbs, in making health diagnoses and as a generator of carrying wave in work with maps and distance healing. Its shape symbolizes the Cross of Life as known to ancient Egyptians and named after Isis - feminine archetype for creation, the goddess of fertility and motherhood. It is suspended on a double-woven thread to prevent twisting and kinking. (There is an optional Split Ring Top to connect your own chain). 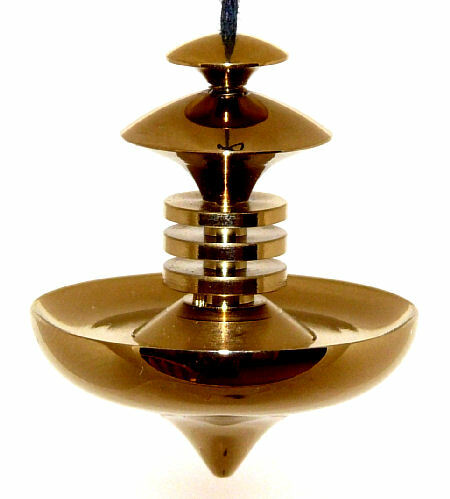 Each pendulum has added mental programming that increases its already high sensitivity and creates perfectly symmetric aura - a great asset for balancing and chakra work. 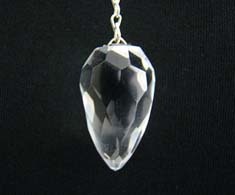 This is possibly the most versatile dowsing pendulum you ever owned. It's 3" long and weighs 3oz, so it's not very light, but it also gives way more healing power as compared to the smaller version.